Spring Touch plans to give away a $30,000 franchise fee to a deserving veteran. 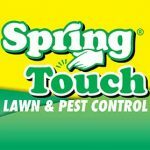 The winning veteran will become the owner of a Spring Touch franchise in one of the following states: Minnesota, Wisconsin, Iowa, North Dakota, South Dakota, Missouri or Illinois. The winner will receive training and mentoring from the founders and one year of strategic marketing, customer call center support and professional accounting. The winner will be selected on Jan. 31. Qualifying veterans can enter the giveaway here.